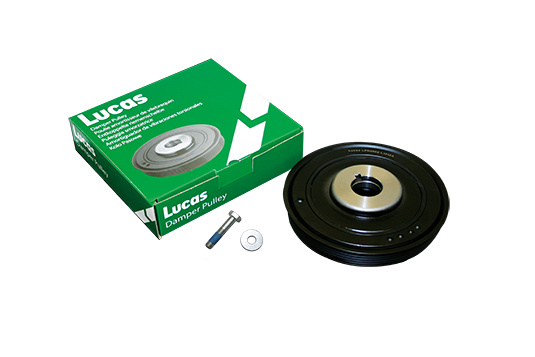 Discover our 159 Damper pulleys references delivered with screws (43 references), quality and brand “Lucas”. The damper pulley acts as a “guide” pulley for accessory belts and as a reinforcement for auxiliary components. We recommend you the replacement of the damper pulley when you fit a new timing kit and water pump (Super Kit). Why insert a screw in our boxes (43 references concerned)? Like all parts, the screws deteriorate and can be broken. If the screw is not changed, the life of the pulley will be shorter. Read more about the Damper pulleys.